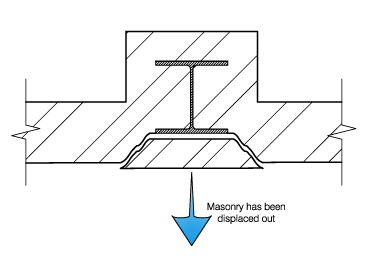 This syndrome has been coined for masonry clad steel framed buildings built around 1920's. The wrought iron columns and beams were constructed with little or no corrosion protection. Those built into the external façade have been affected by damp and water ingress through the masonry. 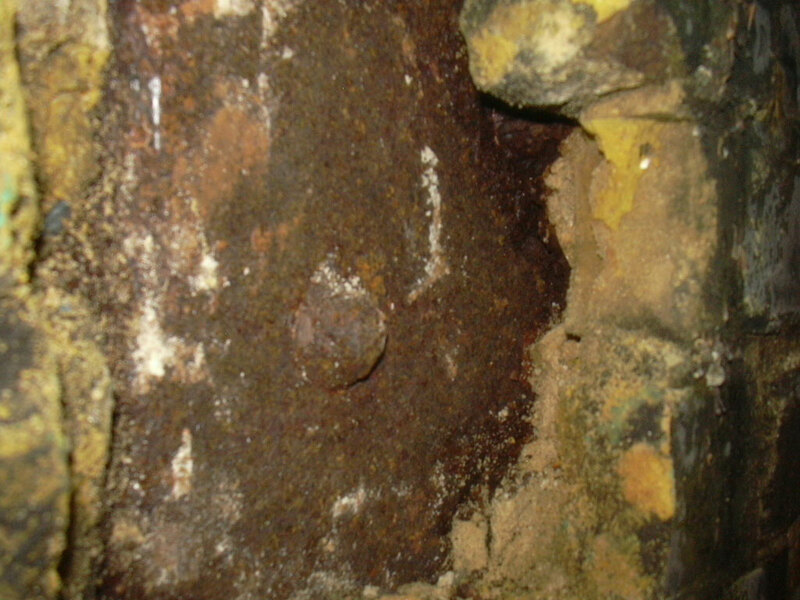 The reduce pH values in the more acid rain over the past years has accelerated corrosion of the steelwork under. 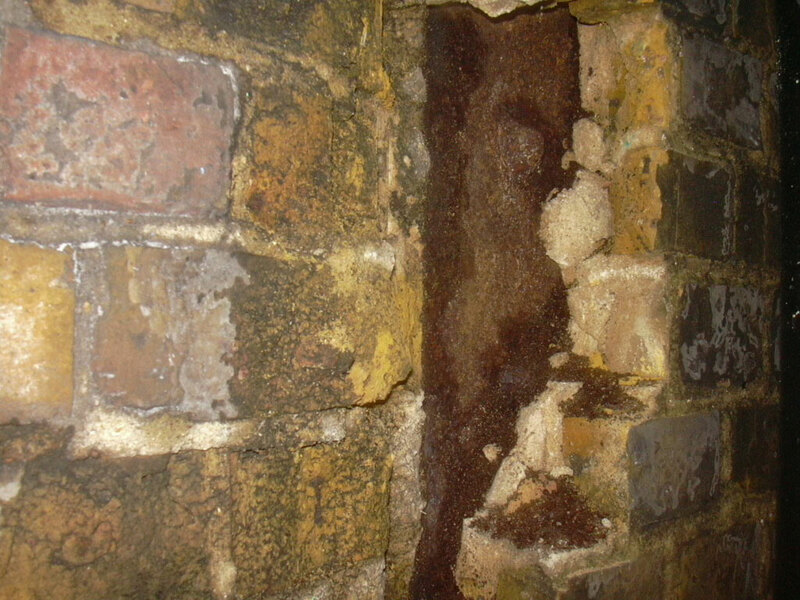 Hidden within brickwork the steelwork has corroded unnoticed for many years and is now becoming a problem. The expanding rust forces the brick work out splitting and causing sections of masonry to spall and fall onto unsuspecting public below. It is a serious concern and more cases are reported. Croft Structural Engineers work for Barclays Bank and Atis Real in surveying several of their buildings in and around Liverpool St. Areas of concern we highlighted and opening up works completed; at every location corroded steelwork was found.